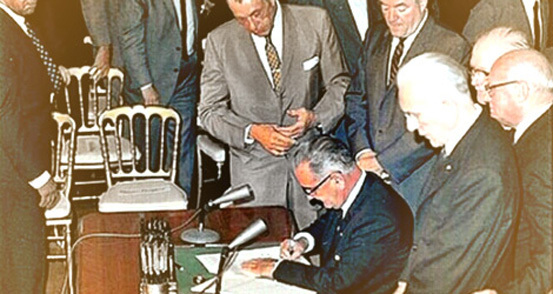 The Ada County Highway District is committed to compliance with Title VI of the Civil Rights Act of 1964 and related regulations and directives, which President Lyndon Johnson signed into law, July 2, 1964. In 2004-2005 more than 2,800 miles of existing and missing sidewalks and 19,300 street corners (with 15,500 curb ramps) were inventoried and assessed as part of ACHD's self-evaluation. 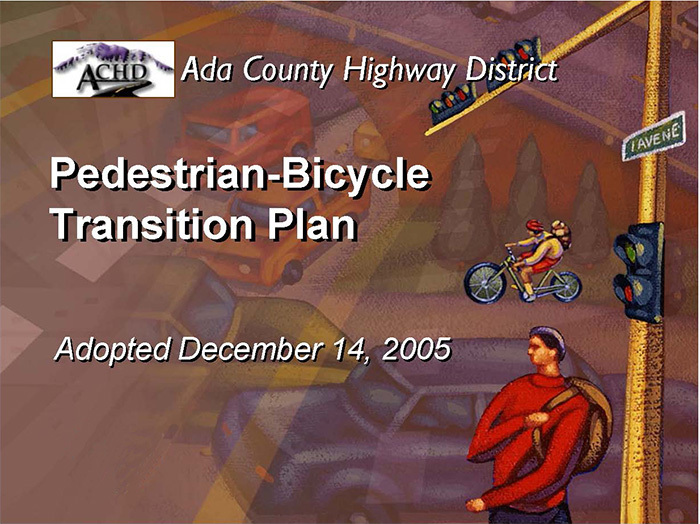 The ADA Transition Plan, also known as The Pedestrian-Bicycle Transition Plan (PBTP), is a result of that evaluation process. Primary emphasis was focused on addressing federal pedestrian planning and guidelines and the regulatory requirements of the Americans with Disabilities Act (ADA), enacted on July 26, 1990.